Different restarts. The flat 4 go up then drop into supportive spaces. 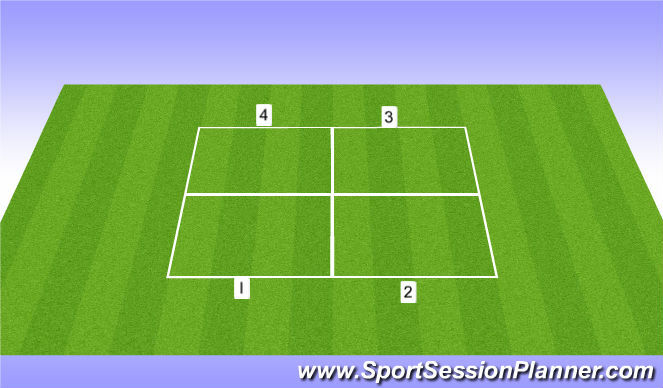 The ball has to be passed in a U-Shape. Work on different ways of breaking pressure. 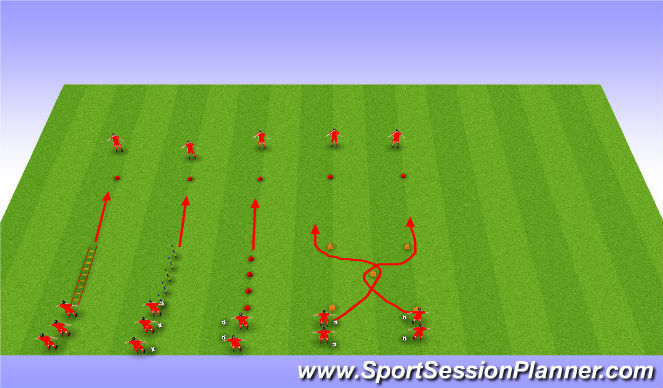 Progression: After every 3 touches add 2 more defenders. 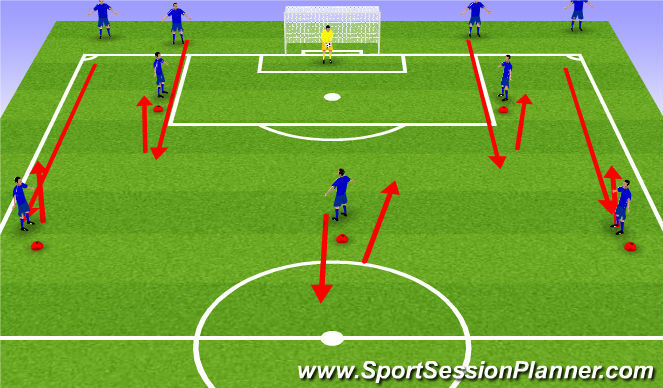 Cp&apos;s-Communicate, time your runs into supportive spaces, scope area around you, think of your next 3 steps before the ball comes to you, prepare to break pressure within 3 touches, when to penetrate, when to switch the point of the attack. Different restarts. 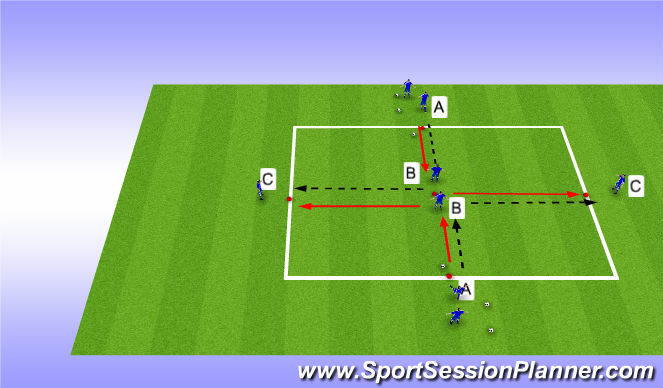 The play must involve playing out of the back and projecting defender (s) out of the back.